The best way to create what you want in your business is to get clear on what your income goals are and exactly HOW those income numbers add up to become real dollars in your bank account. If you don’t do this, then it is extremely hard – practically impossible – to either create the income you want or to do it in a way that feels organized and peaceful. Your income goals are concrete numbers that set the stage for your marketing and operations plan for the year. They help you strategize, they help you clarify the support you’ll need, and they lay out for you the scope of what you want to tackle for the year. Every successful entrepreneur I know sets goals to help her thrive and expand her business. How Do You Set Income Goals? 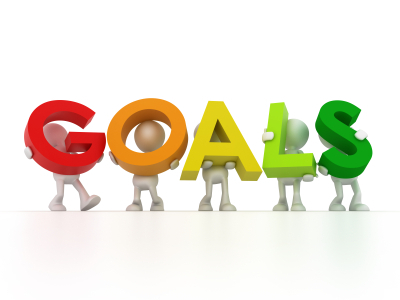 Setting your income goals is actually quite simple, but the trick is to do it, and do it thoughtfully. Even though it’s a simple process, I see too many entrepreneurs out there who skip over this important planning essential or who do it half-heartedly. To set your goals for the year, the first place you want to start is with your Soul-Centered Offerings. Your Soul-Centered Offerings are your programs, packages, services and products. Your Soul-Centered Offerings are at the heart of your income goals because your income will depend on how many offerings you sell, and at what rate. Step1: Know what you’ll be offering in any given year AND at what rate you’ll be offering it at. If you are a yoga instructor, at what rate will you be offering your private yoga sessions? 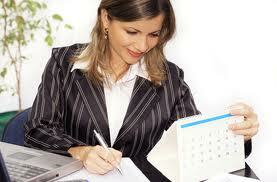 If you are an accountant, will you charge by the hour or by the job, and how will you determine your rate? If you sell cupcakes, how much is a single cupcake? How much is a box of 10? 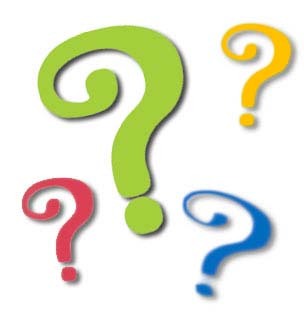 If you are a coach, what do your coaching programs include and how much do they cost? **Now, I believe strongly that being compensated for your talent and brilliance is essential. Yet, all too often I see talented entrepreneurs with incredible offerings priced at rates far less than they are worth. Sometimes you say, “I have to price it this low because that’s the industry standard." Or, “I’m not really sure what it’s worth but this seems about right." Or, “I feel I should be charging more but what if people won’t think I’m worth it?" If you recognize yourself in one of these statements, it’s an especially important moment to get clear on your rates. You can’t create a higher income for yourself if the numbers don’t add up, in other words: if you’re undercharging (& believe me, I did that for years, so I understand!). If you’re stuck here with charging enough, we’ll look at this more in depth in a future article. For now, see if you can stretch a little bit and raise your rates, just a wee bit. Keep this number realistic, but a stretch. 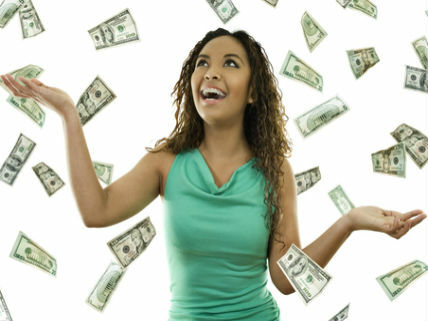 How much income do you desire to earn over the next 12 months? A helpful hint is to get clear on what you’d like to be spending your money on. The reason I suggest this is because to just name an income number – $50K or $100K or $1 million – is just a number. It has no real meaning behind it, it has no "deep and sacred why" behind it. And without that, it’s hard to really take it seriously. So, get clear on what you desire to make over a 12 month period and write it down. Now, knowing how much you’d like to make is NOT enough. Without knowing how much you need to sell to reach that income goal, your income goal number can’t really move from hypothetical into action steps that get you real results…. Step 3: Get clear on how many units of your offerings you need to sell to reach your income goal. For example, if you’d like to earn $100K over the next 12 months and you have one product that is priced at $1,000, then you need to sell 100 of them to reach your income goal. Or, if you’d like to earn $100K over the next 12 months and you offer one private package that is $5,000 each and one group package that is $1,000, then perhaps you choose the goal of selling 15 private packages and 25 group packages. What are the work hours you want to spend on your goals? How much time do you want to spend on your goals? For example: If you create an offering that you know takes 30 hours for each one you sell, but you’re selling each one for only $500, you need to either tweak the amount of time it takes you or your price on that offering. **It’s so important to take time into consideration when you’re creating your goals because you want to make sure that you have enough time to achieve your goals without burning out! How often would you like things to happen (how many performances, classes, programs, etc. in that 12 month period)? What are the costs associated with the creation of your offering? These can be commuting costs, materials, membership or association fees, office expenses, etc. **It’s so important to take expenses into account to be able to reach your desired income amount! Once you’ve moved through all 4 steps, and created your income goals for the year, you are ready to create your marketing and visibility plan. 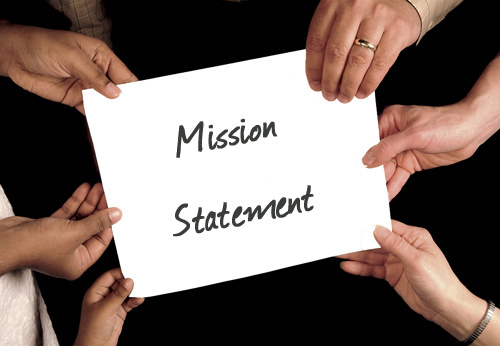 You’ll have a super-strong foundation now to get clear on the execution plan that makes the most sense for you…. If you’re not earning enough money, or working way too much, or simply feeling that your rates don’t reflect how valuable you are, then it’s probably time to raise your rates or ask for a raise. This article will help you work through doing just that, and feeling aligned and in integrity while doing it. 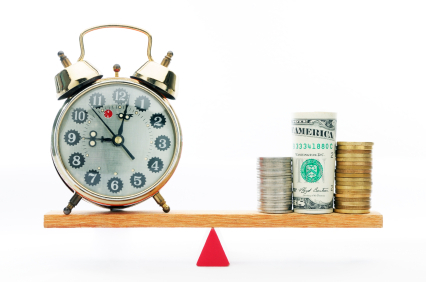 Are You In the Time-Money Pickle? I know what it’s like to feel that you have to work more and more and more because you’re not charging what your time is worth or not getting the salary you deserve. It’s exhausting and makes you feel trapped in your schedule. You can even sometimes resent your coworkers or clients or boss because you feel like you are working too hard and not receiving what you deserve in return. You feel less valued by others and frustrated by your bank account. You’re worth so much more. You and your work are so valuable. It must stop because customers will likely not take you or your service or your product as seriously if you aren’t charging what you’re worth. Prospects will overlook you if your rates are too low. They assume that you’re not valuable if you’re not charging enough. Even if you don’t feel comfortable at first, it’s so important that you stand up for yourself and your value. Please don’t give away your time for free or for rates that undervalue you! 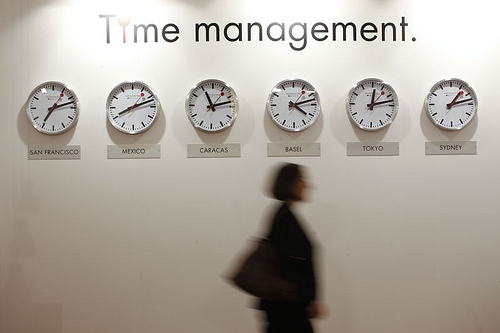 By giving away your time, you’ll need to take on many, many clients just to make ends meet. And there are other ramifications: if clients aren’t financially investing what the time is worth, they aren’t fully valuing what you’re giving them. Here’s what I want for you: to be able to feel good about what you charge and what you make. I want you to feel valued. And valuable. And worthy. 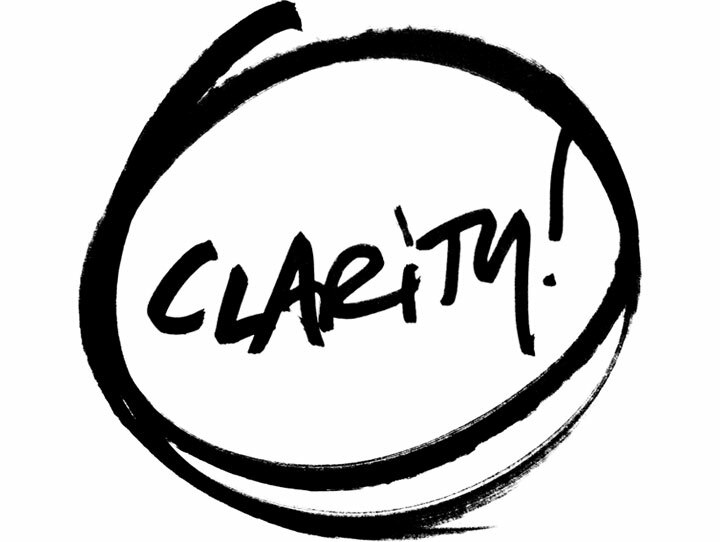 What’s the result in your work or life for undercharging or not receiving what you want? It’s so important for you to understand how this affects you because this will be a big part of your motivation for it to change. The fears can be really strong. If you’re not in the right place energetically, even if you "raise your rates", you will still have trouble finding people to pay those rates or buy your books or hire you, etc. The sooner you address these fears and begin to believe in yourself and your work, the sooner you’ll start feeling valuable, valued, and worthy. The number one root cause of fear in raising your rates is that you do not have enough confidence in yourself and in your sacred message. So, what is your sacred message? Why is it so important when it comes to charging what you’re worth? Your sacred message, at its deepest level, is the reason you do what you do. It’s the very important and profound message you want the world to receive via your work. Your sacred message is inclusive of how you are uniquely able and qualified to communicate that message. What do you want for the healing of the world? If there was one thing that you felt so passionately about that you wished it so that the world could heal, what would that be? What is it that you believe in that you wish for the healing of the world? If there was something that you felt so passionately about that if you had the opportunity to shout from the rooftops or hilltops so that thousands and millions of people could hear you, what is it? Maybe one phrase or one sentence, what would that be? What do you really love to do? What are the things you know you are just great at doing? What would you want to overhear about yourself and your characteristics at a party? If you were a fly on the wall, what would delight you if you heard other people saying it about you? You have a sacred message whether your work is a product, a service, or even if you’re in the midst of changing careers. If you have fears around raising your rates, your first step is to get very clear on your sacred message to help build your confidence and passion about your work and its value. Do not set your rates based on what others are charging. 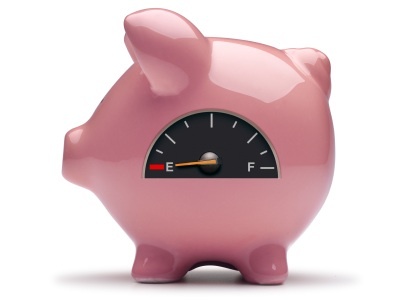 Just because a colleague is charging "a lot more" or "a lot less" doesn’t mean you have to. The market doesn’t determine your value. YOU determine your value. Take into account all the costs to you: the marketing, the packaging, overhead, the other resources, and of course, your time. Don’t just double what you’re charging – this is not a conscious or aligned way of determining how to charge. Get clarity on knowing how to charge by using this rule of thumb: when you set your rates, you want to feel a little bit uncomfortable. You want to feel as though you’re stretching just a little with these new rates. Not so much you’d rather die than charge that amount of money! This should be healthy growth. It’s ok to raise your rates in stages. If it feels way too scary to raise your rates a lot all at once, you can stagger the increase over time. Sometimes growth happens in quantum leaps and sometimes it happens over a series of steps. You’re upleveling. You have made some really important shifts in yourself, your work, or your business, and you are upleveling. This is exciting! This is to their benefit. The reason this upleveling is so important and exciting is that it will 100% benefit them. This shift is to their advantage, so tell them how. Perhaps you want to say that you’ll be focusing on quality rather than quantity of clients, so you can bring more focus and attention to current clients. Having more time will allow you to bring more energy and presence to your work. You are modeling for them what it means to be a woman who really values herself. Upleveling means higher rates. Explain what the upleveling means and how you’ll be raising your rates. I like to offer current clients a courtesy discount off the new rates, so the rate is raised a bit but not as much as with a new client. This may not be for you, but for me it’s important to honor the existing client relationship. Always include your sacred message in your conversation. Even when I raise my rates, I like to honor my continuing clients by giving them a discount. I let them know that as a way of honoring the work we’ve already done together, they are receiving a discount from me. Remember, what’s most important is to believe in your sacred message & yourself. Never forget how valuable your time is. When you raise your rates, it’s not just about believing in your value. It’s also about believing in the value of your prospect, and about believing that they can invest in themselves and receive so much – that they are worth making this investment in you. Once you’ve done all this homework and set your new rates, let me know how the process went. I’d love to hear from you! 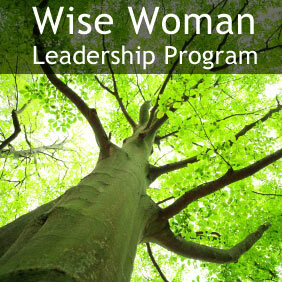 One More Spot Left In The Wise Woman Leadership Program! Just a quickie message this week because I was teaching in NYC last week and on the run! I’ll catch you up on all the latest news with me and Soulful Coaching next week, but for now I really just wanted to let you know we’ve got ONE spot left in the Wise Woman Leadership Program. Is that spot yours? I hope so! We start next week – now is the time to enroll and step into the next level for yourself and your work. And … I am THRILLED to present a really wonderful article on social media written by guest writer Siân Killingsworth in this week’s newsletter. Siân is a friend and colleague, and a whiz at social media. Enjoy! Things Have Been A Little Busy Lately! It’s a quickie message today because things have been a little busy here lately! Aside from being with my clients & filling the last few spots left in the Wise Woman Leadership Program, this month is all about content development and planning for 2013! 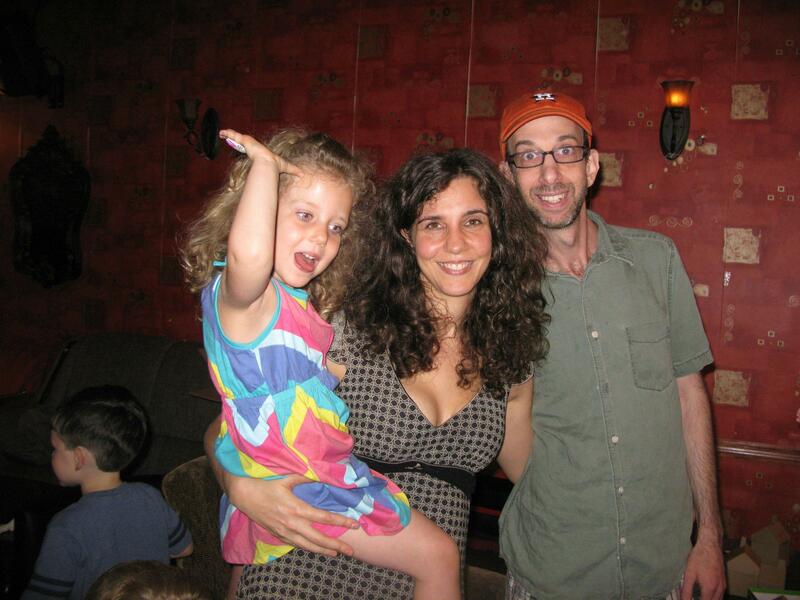 I LOVE months like this: I get to be fully steeped in my creative juicy-ness and soul-centered vision. During planning and content development, I go deep with what YOU, my community, would really like to learn over the next year, and I start making it happen. I can’t wait to share with you all that I’m preparing for you! In the meantime, I’ve also become a “soccer mom”! 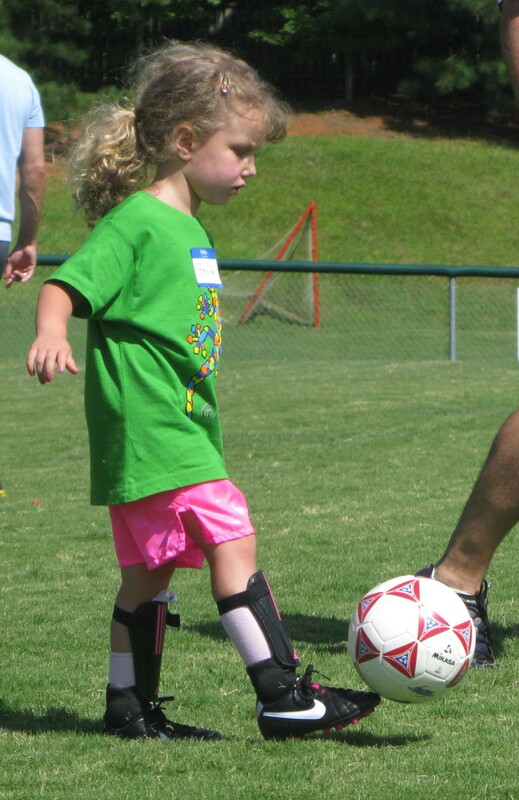 Penina started in a soccer league last month, and we are all enjoying it so much. I’m happy to say that we’re slowly settling in here in NC, and taking pleasure in the little things in life. Hope you enjoy today’s article: it’s all about how to create a better workday for yourself. Over the next few days, I’ll be spending sacred time with family and friends for Rosh Hashana, the Jewish New Year. This month is considered the holiest time of the year because it’s a time of assessing where you’ve gotten off track over the year, re-setting intentions to step into your biggest most aligned self, and focusing deeply on up-leveling your commitment to yourself, to spirit, and to supporting others in your circles and communities. I love this time of year because it reminds me that I have not just an opportunity, but a sacred invitation, to be a better person, a better wife, a better mother, a better daughter, a better friend, a better leader and a better coach. It reminds me that I can always start again, that there is no need to harp on what hasn’t worked out, but rather to focus on what can happen next, and that who I am counts very much. I apply all of these principles to my business each and every day, and I’d like to teach you to do the same. These principles have helped me to joyfully grow my business way beyond my expectations, and to feel aligned with my work consistently. Join me on October 4th for a very special and complimentary teleclass – “6 Essential Strategies for New and Emerging Entrepreneurs”, and I’ll share with you my “new year planning process” that I use for my business each year. It’s nearly 75-minutes of pure content, and you’ll want to take lots and lots of notes! I’ve always been what I call an “over-responsibility” person. I used to feel that I had to make other people happy, had to meet their needs, no matter what. Regardless of what it might cost me. When I first started my coaching practice, I did anything for any client – I charged ridiculously low rates, and I would meet them anytime, anywhere. I’m embarrassed to admit it, but in the beginning, I charged just $15 for a 45-minute session. I agreed to sessions at 6:30 AM. I did 11:00 PM sessions. I traveled to clients an hour each way, and still only charged $15 for the session – no charge for my travel time. As you can guess, that did not work! Not only was I under-earning, but I also had no time for marketing to grow my business, or for taking care of myself. I was stressed, exhausted, and often annoyed at my clients. But it wasn’t their fault I felt this way. The fault was mine – because I wasn’t setting any boundaries. Once you realize that you’re dishonoring your time and dishonoring yourself, it’s time to sit down and get really clear on what you need. I have formulated a series of exercises that will enable you to establish a schedule that allows you time and freedom to accomplish your business and personal goals, and a series of healthy boundaries to serve as a framework for your success. With these boundaries, you can stop feeling overwhelmed, taken advantage of, or scared. You can stop worrying that you’re over-worked and start stepping into time and energy well-spent. How you spend your time is how you live your life. In this first section of How to Honor & Protect Your Time, let’s look at scheduling and prioritizing, because setting boundaries for yourself begins with time management. First, get clear on the top two or three things you don’t have enough time for because of unhealthy boundaries. Is it marketing? Is it self-care? Is it time to write? What are you losing out on because you’re not honoring your time? 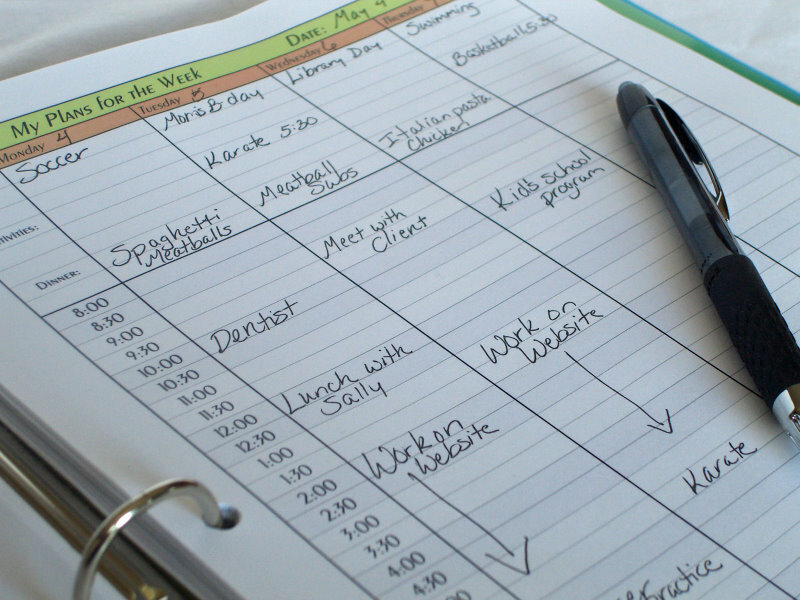 Creating an ideal schedule is KEY to setting time boundaries for yourself. The more clear you are on your schedule, on what you’d like to be doing at what moments, the easier it will be to honor your time, your energy, and what’s important to you. 1) Draw a grid with a column for each day of the week, and a row for each hour of the day. 2) Assign work time and personal time. 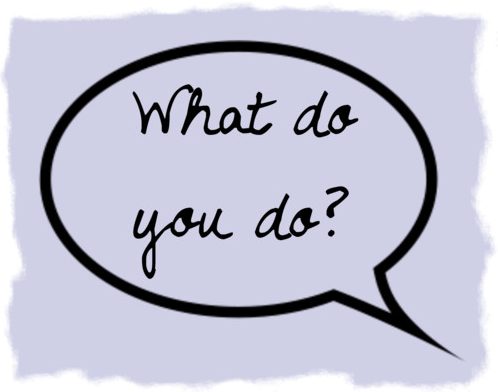 3)Get more specific: Identify what you need to do and when you need to do it. Start with Monday – Friday, or Tuesday – Saturday, or whatever works for you. 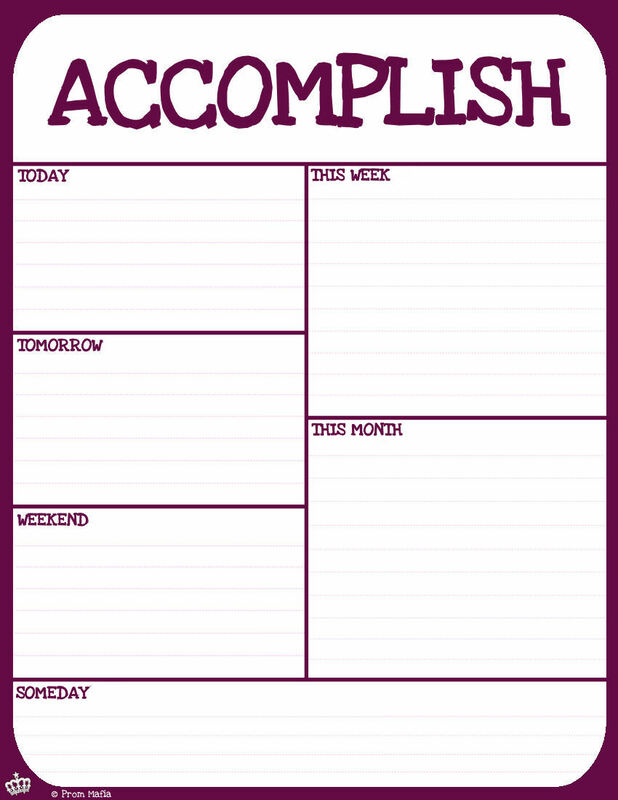 Include each thing you would be doing each day throughout the week, and at what time. 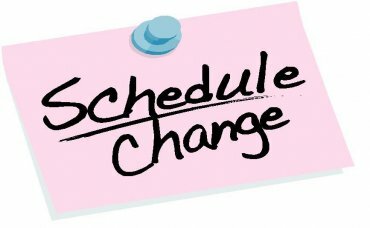 Block out time with clients, marketing time, travel time, shopping for supplies time, yoga time, family time. 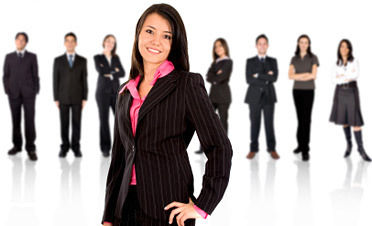 Include team meetings, networking events, even dentist appointments. When you can see that on your schedule, you’ve begun to create boundaries for yourself. The more you get clear on your schedule, the less scattered you are, and the more you are able to open time for yourself. The next tool you need is to be able to get clear on what tasks you do that are worth your while. This is so important to being able to honor your time because it allows you to really prioritize what is most important and stick to it. Be honest with yourself. You’ll see some important things as you mark your tasks in this way. You might see that you need an intern or a team member. Or maybe there are things you’re spending time on that aren’t benefiting you. When you compare your actual schedule with your ideal schedule, you can apply the task categories to bring the actual schedule closer to your ideal. Look for How to Honor & Protect Your Time, Part 2 next week, in which we’ll examine specific tactics and conversations to have for boundary-setting around time!